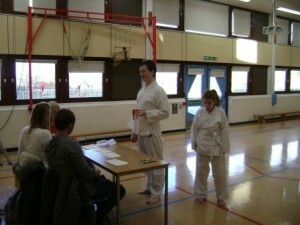 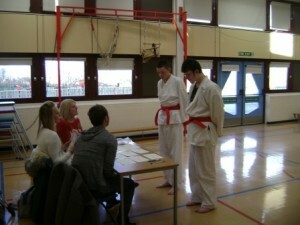 Karate Gradings – Well Done!!! On Friday 11th December 9 students took part in Karate Gradings in school as their coaches from Kensho Karate Club thought they were ready to take on the challenge. 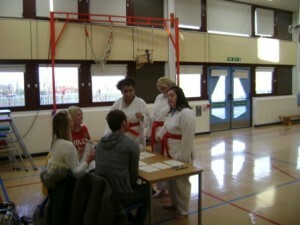 All students were successful on the day. 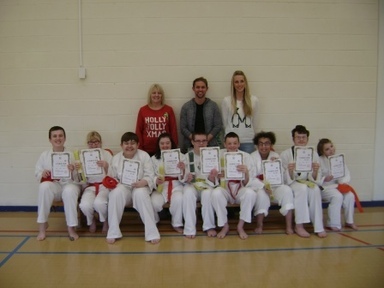 One student, Francesca, gained her (first) orange belt; two students, Andrew and Jacob (Jacob with a distinction) gained their (second) red belts; 5 students, Emily, Nathan, Daniel, Amelia and Katie gained their (third) yellow belt and one student, Aaron, gained his (fourth) green belt with a distinction! 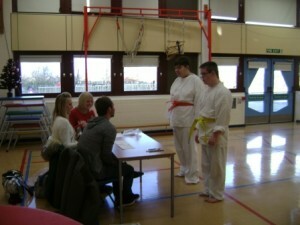 Well done to all students on their success and thanks to Sensei Susan and Sensei Rachel from Kensho for their excellent coaching.